Accessory Mascots, Miscellaneous. Bertin Dragonfly. 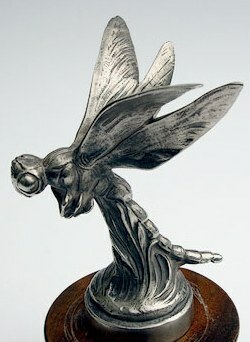 A finely detailed, 1925 French Dragonfly. 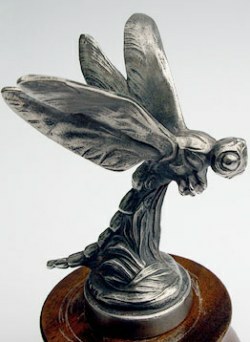 Silver plated bronze. Signed Bertin.